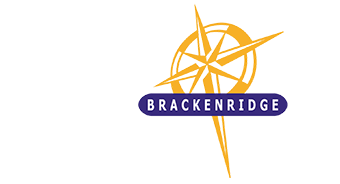 Brackenridge Estate boasts a very solid security policy and measures include strict guarded access control, boundary fence monitoring and personal patrols. Homeowners contract individually with professional emergency armed response companies for enhanced security. The Estate employs a full time Security Manager who is very involved in crime prevention in the greater Plettenberg Bay area. Brackenridge’s access control covers the monitoring of the entering and exiting of all individuals and vehicles at both the estate’s front and construction entrances. The movements of the daily construction and service-providing workers are strictly controlled. Approximately 6 km of electrified fencing around the boundary is regularly patrolled by the estate guards to ensure that no potential tampering is left undetected. The estate is periodically patrolled by both day and night shifts. Two gates will be locked at 20:00 and reopened at 06:00. This will leave the guards with only one point of entry and exit to control during night hours. New security cameras have recently been installed and access tags for homeowners issued. A rapid response vehicle (1.4 City Golf) is on standby 24-7 to respond quickly to any of the 40 security zones going into alarm mode. The vehicle also augments the night patrol of the estate. emergency that may threaten the entrance and/or boundary. It’s currently under consideration to establish an in-house security company, to have total control of the guards and lower staff turnover. Security is a high priority at Brackenridge Estate and the control measurements have been vastly improved over the last year – resulting in the estate being considered as one of the more secure residential areas in Plettenberg Bay. Apart from the security services offered by the estate, the contracting of an armed response company rests solely with the individual homeowners.